SO, YOU WANT TO FIND OUT HOW TO TEACH ENGLISH AROUND THE WORLD? WELCOME! Teaching English has been a big part of my life and I have taught English full time in South Korea and Turkey, as well as undertaken volunteer teaching placements in Uganda and Poland. Teaching English has allowed me (financially) to travel the world and during full time contracts, I have actually been making money whilst travelling. When I started teaching English, I did it as a short term thing that ended up playing a far bigger role in my life than I ever intended. It was a ‘bucket list’ dream, if you will, but the memories created and opportunities I stumbled across kept me in the teaching game for longer than I would have predicted. I have many fond memories of teaching English and maybe I’ll do it again one day, but for now I am sharing my knowledge with others who are interested in the topic. This page condenses a lot of what I know about teaching English in order to help you teach English around the world. What Are The Benefits of Teaching English? Why Should You Do It? What Qualifications Can You Get To Teach English? What Qualifications Do You Need To Teach English? How Much Will You Earn? How Much Can You Save? How Do You Find A Job Teaching English? How Do You Get A Visa To Teach English? What Else Do You Need To Know About Teaching English? 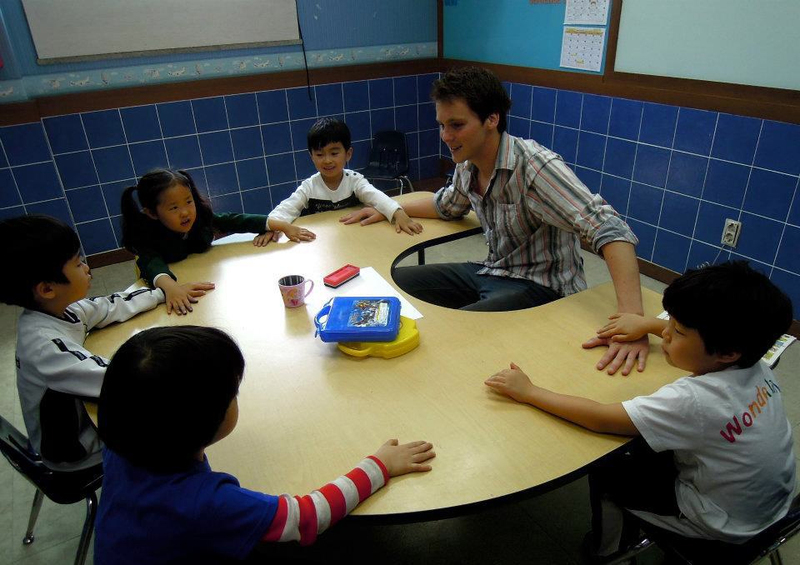 This is me teaching English to pre-schoolers in South Korea. I look back fondly on this day. Still, you might be wondering why you should teach English abroad when you could do it in your own country. For me, the answer is simple. It provides me with a financially stable way to explore the world and to spend a long time in a place. I also find that the students who learn English outside of my typical British school system are far keener to learn English, making the experience more enjoyable. Also, in certain countries, financial benefits such as free accommodation, free flights, and bonuses upon completion of contracts ensure that you can actually save more money teaching in another country than in your own. China and South Korea are good examples of this – see below. For a comparison of how much you can earn and how much you can save teaching English around the world, read this page. When you start thinking about teaching English abroad, you start encountering the terms TEFL, ESL, ESOL, TOEFL, TESL, TESOL, and CELTA amongst others. Then you ask, what is TEFL, what is ESL, what is ESOL, what is TOEFL, at which point you lose track of all the letters and wonder how it could possibly be so complicated. Simply put, it isn’t. All of these things relate to the TEFL (Teaching English as a Foreign Language) industry, which means teaching English to people with whom you do not share a common language. Specifically, some of the acronyms are qualifications or certifications, while others refer to the same general idea of teaching someone who doesn’t speak your language. I find that TEFL is a good umbrella term for all of the above mentioned acronyms. TEFL (Teaching English as a Foreign Language), ESL (English as a Second Language), ESOL (English for Speakers of Other Languages), TESL (Teaching English as a Second Language), and TESOL (Teaching English to Speakers of Other Languages) all relate to the studying of English between teachers and students who have different native languages. This means that you can go anywhere in the world and teach English, despite not knowing any words from the country that you are teaching in. Although the word ‘second’ is used, the terms do not have to refer to the second language that a person is learning. It could be the third or fourth, for example. The term TEFL is most commonly used and generally refers the industry as a whole. TOEFL (Test Of English as a Foreign Language) is a product developed by the Educational Testing Service and offers online testing to determine a student’s level of English. CELTA (Certificate of English Language Teaching to Adults) is a certification awarded to a new teacher by University of Cambridge ESOL after successfully completing a training course. 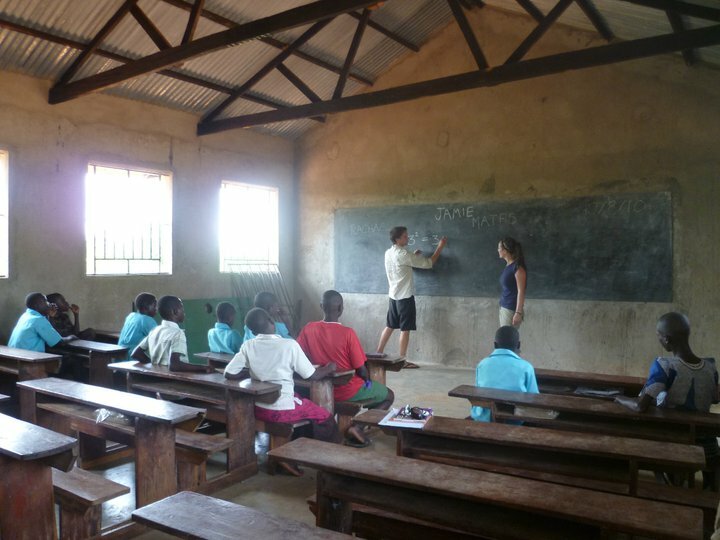 Attempting to teach Pythagoras’ Theorem to student in Uganda as part of a volunteer project – this is the first place I ever taught. 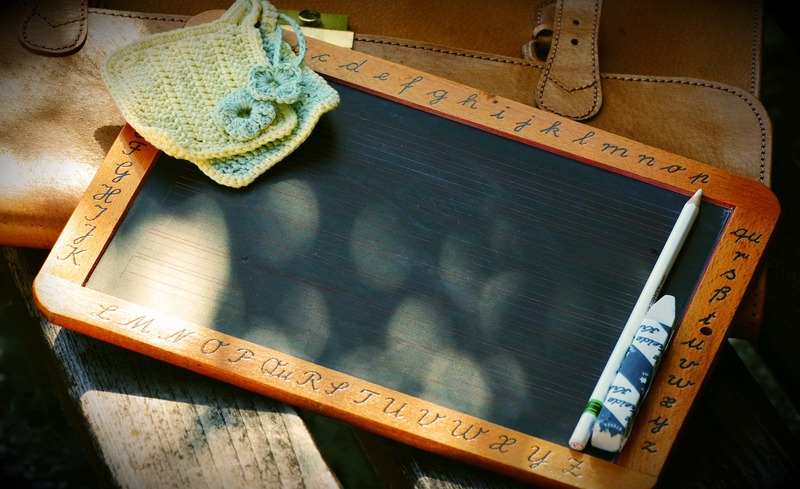 One of the first questions people ask is what qualifications do I need to teach English? In short, it varies depending upon where you want to teach. Schools in some areas, such as the Middle East and Japan, have notably stricter requirements when hiring teachers. In other countries, it is the visa regulations that require you to have certain qualifications. The following factors will all help with getting a job teaching English. Speaking English fluently. It sounds ridiculous, but it is not uncommon for people to try and teach English when they do not actually have a good grasp of it themselves. If you speak good English, you can find a position teaching English somewhere in the world, even if you don’t have any qualifications. Being a native speaker. Unfortunately, this is one thing that you do not have control of. If you hold a passport from a country that uses English as its native language, you have a much greater chance of finding a job and getting a visa. If you are not a native speaker, but you have a native level of English, it could be useful to sit an exam to demonstrate this. Without it, your visa application may hit a stumbling block. At this time many countries only consider citizens (passport holders) of UK, Ireland, US, Canada, Australia, New Zealand, and South Africa to be native English speakers. A degree from an English speaking university. This is a clear indicator of aptitude and English ability, regardless of what country you are from. If you hold a degree from an English speaking university, it will improve your chances of finding an English teaching job in most countries around the world, regardless of teaching qualifications or experience. However, it will not cancel out the requirement to be a native speaker in countries that only grant visas to native speakers. Experience. If you can demonstrate that you have experience teaching English in the past, this makes a huge difference when applying for teaching jobs. Schools and students want teachers who know what they are doing and do not take time to learn how to teach. You can get experience anywhere, from private tutoring in your own town through to volunteering around the world, or even by doing a TEFL qualification. Put a little bit of work in here and it will help you no end when it comes to making applications. Teaching qualifications. Having a teaching qualification can help you get a job easier and entitle you to a higher salary, but it is dependent upon the school. A good teaching qualification can also be beneficial to your teaching abilities which is especially important to new teachers who have no experience of classroom management. Be warned though, a 20 hour online course in teaching English does not make you a good teacher, but there are some great TEFL courses out there that you can do to improve your job prospects and teaching abilities – just be sure to do a 120+ hour course. You might want to read about the benefits of TEFL / TESOL certification, as well as my warning about low quality TEFL companies that are looking to take your money before choosing which course to do. I have included a little infographic that I made in order to help you asses which teaching qualification you need, if any. If you decide to do a teaching qualification, this page about choosing which TEFL you should do will help. It covers issues such as obtaining a CELTA (which is beneficial to long term, career English teachers and costs thousands of dollars) through to different TEFL certifications (with different price ranges), and also addresses times when you don’t need a teaching qualification. If you are not a native speaker or do not hold a degree, it is advisable to do a TEFL certification or an English aptitude test to improve your chances of finding employment. The more qualifications that you have from the above list, the more likely you are to obtain a teaching job. If you are a native English speaker (and passport holder), you are in the best position – everything else on the list is easy to obtain, with the exception of a degree which takes several years. Many people choose to teach English after graduating from university as a sort of career gap. Many of these people love it so much that they never ever stop and their career gap becomes their chosen career path. I have many friends like this. 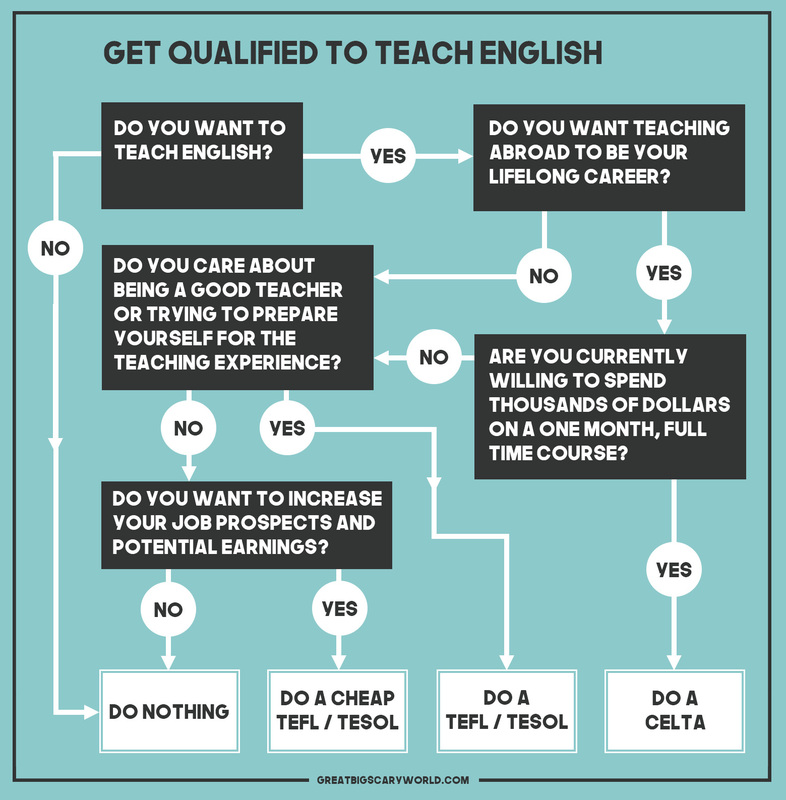 Returning to the question, do I need a TEFL teaching qualification to teach English overseas? The answer is, in short, a bit open to debate… it depends upon where you want to teach! 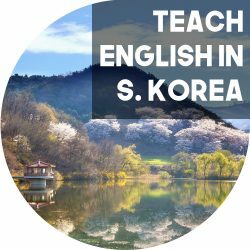 For example, a 120 hour TEFL is required to teach in government schools in Korea and for many jobs in China… Yet there are certain provinces in China where you can teach without a TEFL and it is not yet a requirement for teaching in private schools in Korea. However, it will make your life much easier with regards to being offered a position and being granted a visa anywhere in the world that you go. When I started teaching English, I looked around the vast market of teaching courses to see which teaching English course is the best. My conclusion was that doing a CELTA course gave you the best preparation for being an actual teacher (as a career). However, their courses cost multiple thousands of dollars and take a multiple weeks. By contrast, I found a great plethora of online, teaching English qualifications that were much cheaper. Some of them were excellent and some of them were terrible. They would not guarantee to make me a great teacher, but they would help me to get a job and a visa easier. As I indicated previously, I do not believe it is absolutely necessary to obtain TEFL certification to teach English, but it will certainly make things easier and open more doors. I have taught English in several different countries with no teaching qualifications whatsoever, but that was several years ago and the standards are rising. I also found that some countries wouldn’t allow me to teach because a teaching qualification was required in order to be granted a visa. I have covered this topic in other articles and suggest you read my TEFL course recommendations, the benefits of a TEFL certification, and my warning about dodgy (ultra low cost) TEFL companies. You must also consider the location in which you wish to teach. Where can you teach English overseas? You can teach anywhere. Almost every country in the world is keen on learning English right now. However, here are a few generalisations about the most popular teaching destinations in the world in order to help you choose your location. The Middle East. Financially, this is the pinnacle of English teaching. However, it is very unlikely that a first timer will get a job in the Middle East. Most positions request two years of experience in addition to an internationally recognised teaching qualification. Europe. Beautiful cities and culture attract people to Europe from all over the world. Because of this, competition is high. Couple this with the high level of English that is already spoken in Europe and it is hard to find teaching positions if you do not already have the right to work in Europe. As you would need a visa to work, most schools will not be interested in hiring you and will look to teachers who are allowed to work in Europe already. Costs of living in Europe are also very high and English teacher salaries are not, so you may find yourself struggling financially. East Asia. This is the mecca for first time teachers. Financial benefits often include free flights, accommodation, and a bonus upon completion of contract. Salaries are relatively high compared to the cost of living and jobs are easier to find than in other places around the world, irrelevant of experience and qualifications. China has lots of jobs available right now, and South Korea is another popular first time option (although the job market is more fierce). South America. The dream location of many people from around the world. South America is not particularly affluent however, and you may find yourself having to spend more money than you earn while teaching English here. Indonesia and the Pacific Isles. Natural paradises that are currently less affluent than other teaching locations. Indonesia is on the up and is currently the lead recruiter of English teachers in this region. Africa. Once again, money is an issue. Although people want to learn English, in many places there are more pressing issues and many African countries already speak English, meaning that they have a supply of teachers. If you are looking for volunteering positions, this is a wonderful place to get experience. The above generalisations come from my personal experience of looking for positions and that of friends and colleagues. They are based upon internet applications and do not take into account finding jobs when in a location. If you have the financial backing and guts to do it, going to a place that you want to teach is one way to find a teaching position. It means that whoever is considering employing you can meet you in person and know that you are serious about a job in their country. When doing this, you can also start to network with people to help you find jobs and maybe even pick up private tutoring work. Of course the risk with this is that you will spend lots of money and might not find anything. If you want more advice about which is the best country to teach English in or country specific advice, please scroll to the bottom of this page and follow the links to other pages on my site. If you are interested in learning the local language of the country that you will teach in, you will be in the best possible position to do so as you will have the opportunity to immerse yourself in the language and culture. In many countries this is the only way that you will truly learn to connect with the locals. To kick start your learning experience, I recommend that you read this page about language learning and consider the language techniques. HOW MUCH WILL YOU EARN AND HOW MUCH CAN YOU SAVE? Another big question is how much will you get paid and how much can you save when teaching English overseas? This varies upon where you teach, your experience, your qualifications, and sometimes, luck. However, I have put together a document which helps to give you an idea of how much you can hope to earn and save when teaching English in different locations around the world. 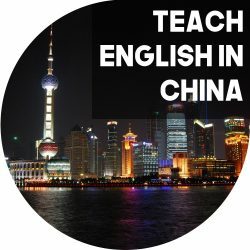 You can view the How Much Will I Get Paid and How Much Can I Save When Teaching English Abroad? pdf file for free by following the link. You are free to share the link and document with others as you please. If you wish to host the document elsewhere for distribution, that’s OK, but please let me know about it. Some countries offer lucrative financial benefits in order to attract teachers. These benefits typically include free accommodation and free flights. When you consider these factors, it makes teaching English a much more financially attractive option. Some areas, typically Asia and the Middle East, offer a bonus for completing a full contract. Typically a contract lasts a year and a bonus may be a full month’s salary. See the above mentioned pdf for more details about which countries offer free accommodation and housing. When you start to teach English, you have to think about what type of teaching you want to do. This ranges from government schools through to teaching private individuals, cash in hand. Below I have detailed some of the different teaching options that can be considered. Private Schools. These schools are not dissimilar from government schools. However, as the students pay money to be there, your pay may be higher. Another plus is that you shouldn’t have to do any desk warming and the schools shouldn’t simply disappear. Language Academies. These schools are a form of private school that typically run during the evenings to teach students or business people who are out of hours and often, they offer the best package. Pay should be higher, hours less, and there even may be some flexibility in the schedule. The major downside of these schools is that they may go under without warning, leaving you without pay or promised incentives. As a foreigner without a whole lot of money or legal standing, you are unlikely to get any financial compensation if things go wrong. Saying that though, I worked for a private language academy for a year and got everything that I was promised for a very small number of hours. In short, my experience worked out really well. There are also ‘after school’ programmes in some countries which run from around lunchtime to mid-afternoon. These offer great money, short hours, and fun classes. If I was looking for a teaching job right now, this is probably what I would be looking for. University Jobs. Often considered the pinnacle position of a travelling teacher, these jobs can offer higher salaries (if you are qualified) for relatively low hours and a vast quantity of holidays. Due to the many benefits, the major downside of these jobs is that they are very difficult to get because everyone wants them. Private Lessons. This is the highest hourly rate for English teachers. However, you are on your own and jobs may be cancelled at any time. Also bear in mind that you have to incorporate your travel time into your total pay and that it is very difficult to get a visa to be a free-lance teacher, unless you marry a local. This is not recommended for visa purposes, but almost every teacher I have ever met teaches private classes at some point. If you get caught teaching English for money without a visa, you might get kicked out of the country or fined. If you have a rough idea of what’s going on, next consider jobs. How do you find a teaching job abroad? There are three main ways. Apply online. There are an innumerable number of online sites that help you to find a job. Google search ‘English teaching jobs’ and where you want to go and you will find something. Be warned that some of them do not keep to their promises. Right now I am building up a portfolio of trusted recruiters and you can apply for English teaching jobs here. If you have any problems with the recruiters I recommend, please don’t hesitate to get in contact with me. If you apply elsewhere on the internet, you have the choice of applying through a recruiter or directly to the school. Both have their positives and negatives. Network. Social media makes the world a small place. Message people. A friend of a friend might be able to hook you up. This doesn’t really need much explanation, but if you ask, it’s amazing how helpful people can be. When I went to teach in Korea, it turned out that I was teaching at the same school as a guy I played football with six years earlier. We hadn’t spoke in all that time. I come from a village of 700 people and then within a few days I met a second person whose brother I played football with as a fourteen year old. The world isn’t quite as big as we think! Just Go. One way to find a job and have flexibility is to simply go to a place and start asking around. Look up things online, speak to people, and turn up at schools. This takes a bit of luck, but when a headteacher finds you in his office, he knows you’re serious. The only downside of this is that you might need some cash to keep you going before you find something, and you might not find anything at all. If you are already on the road and passing through a place, this is a great way to take the best jobs in town. If you are doing it legally, you may well have to leave the country to get the visa and getting the visa might take some time, so I would only do this as a short term thing for cash. If I wanted to teach for a year (or more), I would apply for jobs in advance using the methods listed above. If you want to apply for jobs right now, I have teamed up with a couple of schools and agencies that I trust to help potential teachers find jobs teaching English. Apply here! Next you want to stay legal. How do you get a Visa to teach English? If you pre-arrange a job on the internet, wherever you are working will help you out. Ask them what they need and they will get everything going. If they don’t, they probably aren’t worth working for. If you decide to go it alone, you start out alone. Try your best, keep your fingers crossed, and smile. Nothing is impossible, but immigration around the world is synonymous with irrational. If at first you don’t succeed, try try again. I applied for jobs in advance because the school does all the hard work for you, making the process easy. Just make sure you have a criminal background check because this is almost always required and can take some time to arrive. 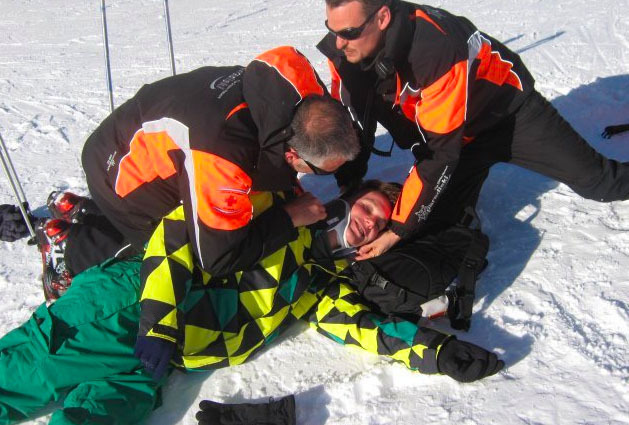 I broke my back in a skiing accident and was charged over 5,000 euros by the hospital. As I had travel insurance, they paid it for me and my life could continue. If there is anything else that you would like to know, please look around the site (as there is loads of information), particularly using the links below. If you can’t find the answer to your question, please leave a comment (or send me an email, although I prefer comments so that others can see the answers). There is just one thing I would like to warn you about…. I can’t reiterate this enough. When I was in France, I broke my back and the medical bills would have ruined my life for a great period of time if I didn’t have medical insurance. And you don’t want to be worrying about money when you are sick or injured. Not only that, sometimes things just go wrong. Having financial security in these situations is of paramount importance and I would not advise anyone to leave their country without travel insurance. This is the main reason that I do not travel completely without money. I can travel on a daily budget of nothing, but I would never travel without insurance because of my past experiences. If you want travel insurance advice, read this page – it lists the only company that I use to buy my travel insurance. How Much Will I Get Paid and How Much Can I Save When Teaching English Abroad? Disclaimer: The views expressed on this page are entirely my own and based upon my experiences of teaching, research on the internet, and stories from my friends. I share this information freely for your learning, but always seek a second opinion who knows more than I do. There are some affiliate links on this page, meaning I will get paid a small commission if you buy their products or services after clicking my link. It will not cost you any extra, it will help to support this site, and I only recommend them because I use them myself.